Please join us for a meet and greet with Artist Linda Finch. 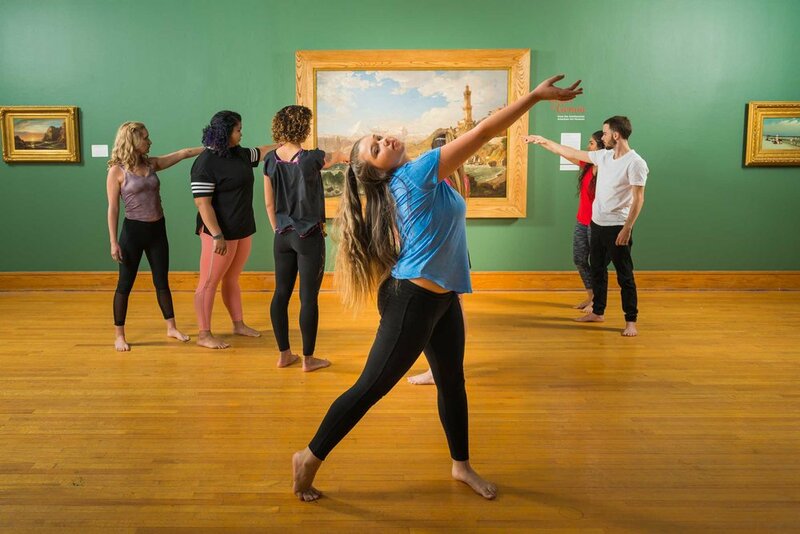 In the annual Art to Art: Words and Images event, Southeastern University students and professors perform original ekphrastic poems written in response to art on display at the Polk Museum of Art. Twice each semester, we offer our Homeschool Members an exclusive docent tour through our current exhibitions followed by a hands-on art lab as a complimentary benefit of membership. Surrounded by the beautiful ambiance of the Polk Museum of Art, faculty-selected music majors from Southeastern University's College of Arts & Media perform solo and chamber works. The Polk Museum of Art at Florida Southern College is pleased to present a free admission full-length screening of the acclaimed Freedom Riders film on Saturday, April 13, from 2-4 pm. Please join us for this exhibition reception for "Creative Youth: 15th Congressional Art Competition." Join us for our Members Reception celebrating Inside the Masters’ Studios: Richards Haas Dioramas and Painted Pages: Illuminated Manuscripts 13th-18th Centuries. Join us for our Patron Members Reception celebrating Inside the Masters’ Studios: Richards Haas Dioramas and Painted Pages: Illuminated Manuscripts 13th-18th Centuries. Please join us for a very special evening program entitled Art and Social Justice: The Legacy of the Freedom Riders. Enjoy an evening of operatic brilliance as Southeastern's vocal performance students delight listeners with a wonderful preface into the world of opera. Join us for a monthly curator tour with Dr. Alex Rich. The Polk Museum of Art will host a Curator Tour at 6 p.m. as the Museum will be open until 8 p.m. the first Thursday of every month starting in September. Join us for a special evening with the artist and up-close look at his most recent exhibition, William Schaaf: The Way of the Equine. To complement our exhibition, Degas: The Private Impressionist, the Polk Museum of Art is hosting a La Francophonie Day Celebration to honor the international day of French language and culture. Please join us for an Off the Wall experience - the convergence of live, insightful commentary with interpretative dance will truly inspire. Featuring unique, live dance pieces choreographed and created by Ferdinand DeJesus, the FrediDance Project will make the exhibitions come to life in new and exciting ways. A brief On the Wall introduction to each featured work will precede the an Off the Wall performance inspired by the work. FrediDanceProject is the official dance company of Ultimate Dance Center serving as a beacon to the surrounding Central Florida areas, the US and the world, through providing dance arts education and entertainment to undeserved communities it reaches out and touches the lives of thousands. FDP Presents live performances, workshops, Master Classes, Intensive Programs, along with a wide variety of artistic projects and collaborations with other artists, groups and musicians. Free to Public. Registration is not necessary but appreciated. Please join us for a meet and greet with Artist Jean Cormier. Join us for our annual black-tie benefit, The Gala.